The world needs more people who are compassionate. Showing compassion is a powerful weapon to bring real change into the world. I forgot to mention the ubiquity of bicycles in Amsterdam, but of course it is the first thing one notices on the streets. Bikes are everywhere and most everyone rides one: not ten-speeds or fancy bikes, but solid, sturdy ones designed for horizontal transportation. (You don’t need gears in such a flat country.) 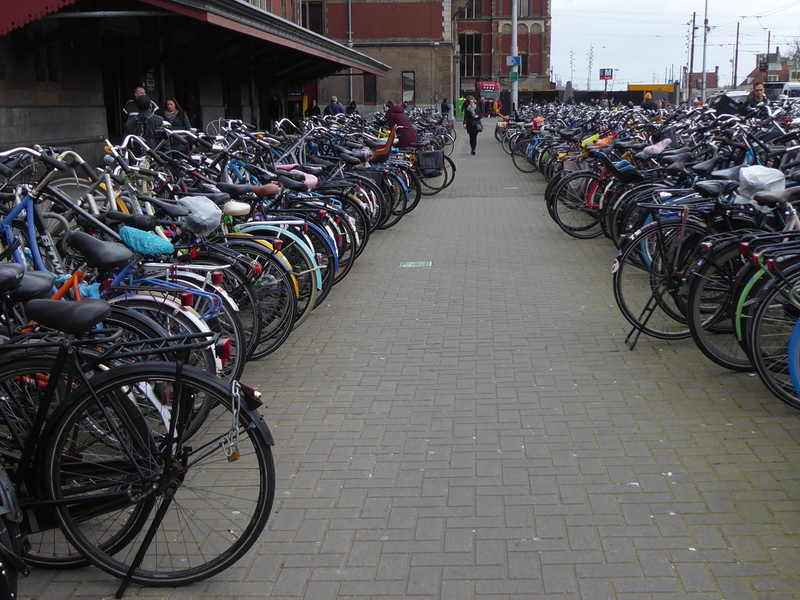 Below is the daily sight outside the Central Station in Amsterdam, and this is only a small fraction of bikes parked there, presumably for the day. It’s a lot easier to get hit by a bike than a car, as Americans aren’t used to looking for bikes, but bike lanes are on every street (sometimes resembling sidewalks) and the cycles come whizzing by. I’ve had a few close shaves. William Clements Library, Ann Arbor, Mich. (1923) and Hall Free Library (1027), Cranston, R.I.